Nice collage! This color is a must always!! Such an amazing color! Beautiful necklace! 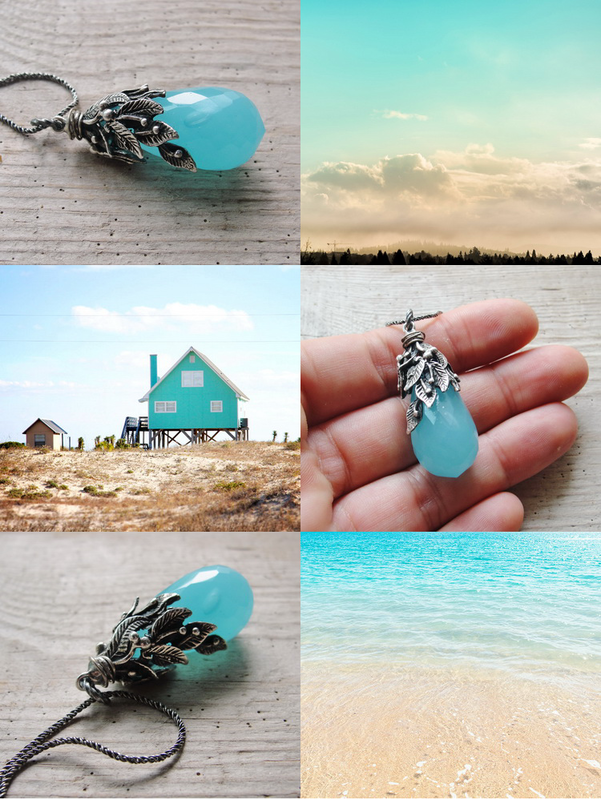 What a beautiful necklace and photo collage! Beautiful collage and lovely necklace! The drop bead has the same color of the crystal clear water in the last picture! I love your necklace. A perfect "StaroftheEast"style!!! !